On the 20th of March 1938 in Seoul, Korea, the ‘Greatest ever Taekwon-Do student’ was born. This honour was bestowed on my Father, Rhee Ki Ha, by the Founder of Taekwon-Do himself, General Choi Hong Hi. Taekwon-Do is the official martial art of Korea after being adopted by the country on April 11 1955. Rhee Ki Ha is the eldest of nine children to Yung Ei Rhee (Father) and Soon Rae Ahn (Mother). Born in Seoul, he grew up in Hwang-Hwa, a small village in Yenmu Ep in the Chungchungnam Do province. My Grandfather took him into hiding to Hwang-Hwa from Seoul when the Korean War erupted in 1950. When he was older, he attended Namsan Elimentary, near Myungdong in Namsangdong, one of the elite Schools in the region. My Father’s 8 younger siblings are all still in Korea. My Father was the only child in his family to pursue a martial art, his introduction originally caming in the form of the sport Judo, through his father Yung Ei, who was a very experienced practitioner. He was the tender age of 7, the same age as myself, when I began Taekwon-Do. My Grand Father even represented Japan at Olympic level during the Japanese occupation of Korea, something he never talked about due to the persecution of the Koreans throughout that time. 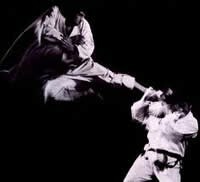 At the age of 12, my Father took up Karate lessons at his school after watching a class being performed. 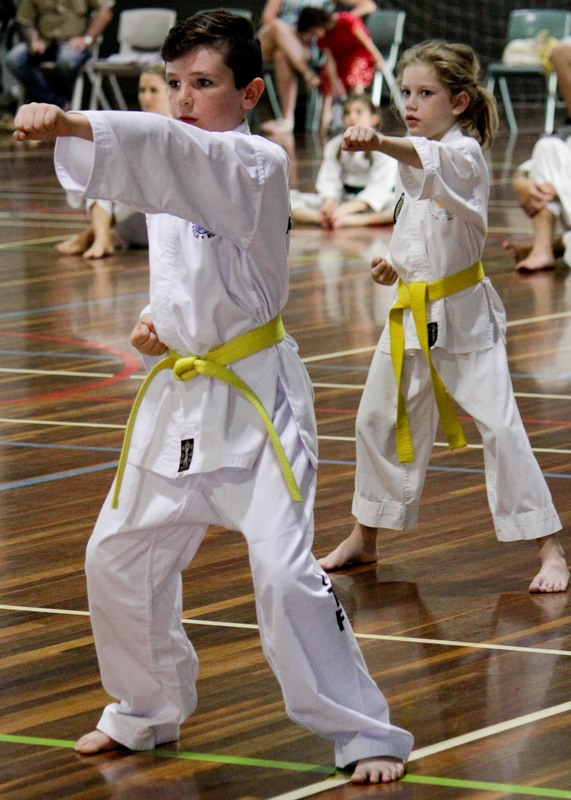 Unlike himself, the Karate students were much slimmer and fitter looking and this appealed to my Father, as a child, his nick-name was ‘Double-body’, I am sure you can imagine his appearance, but the move to Karate soon changed that. In 1957 he began his National Service in the 35th Infantry Division of the South Korean Army under Colonel Nam Tae Hi, it was then that he came into contact with General Choi Hong Hi and his Taekwon-Do. Little did he know that this was to be the beginning of a long journey and career as an Instructor of General Choi’s famous Art. My Father has always been a ‘Taekwon-Do Fanatic’ and throughout his Military Service insisted he wanted to be a Taekwon-Do Instructor. He often recalls how after being enlisted into the Radio Communications Division he somehow managed to quickly arrange his own transfer back to the Taekwon-Do Instructors Sector! Following the completion of his National Service, my Father began to Instruct Taekwon-Do on a greater scale, teaching the American, US 8th Army before later moving to Singapore in 1964, becoming the first official ‘Taekwon-Do Instructor’ out of Korea. 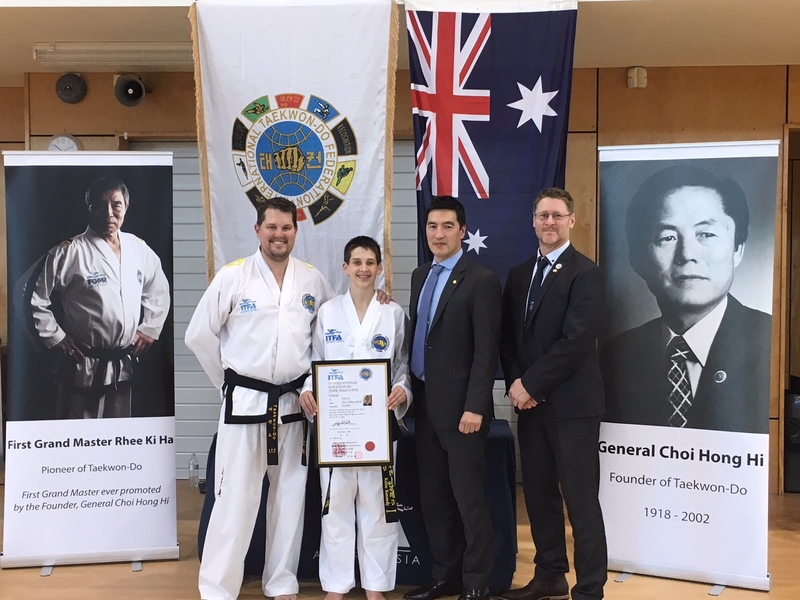 In Singapore he took over the Singapore Taekwon-Do Association and also began teaching the British Royal Air Force Personnel at ‘RAF Changi’ Airforce Base. Throughout the 1960’s he was one of the original Pioneer’s of Taekwon-Do as well as a key Member of the Founder, General Choi Hong Hi’s Demonstration Teams during their 1970’s and 80’s World tours. In 1967 my Father traveled to the UK at the invitation of the RAF Personnel who had trained under him in Singapore, many of these British Servicemen had returned home to discover that Taekwon-Do didn’t exist in the UK at that time. My father was 29 years of age and ranked fifth Dan at the time. 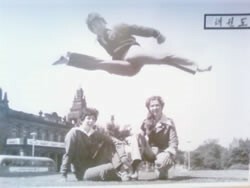 Once in the UK, he quickly established the United Kingdom Taekwon-Do Association (UKTA) and his original plan was to stay in the UK for only 2 years before moving on. However, his short stay was to become permanent. In 1968 my Mother and Father met. Heather Morris was the younger sister of the UKTA’s Official Photographer, John Morris. My parents married in 1969 and in January of 1970, I, Andrew Kang-Hae Rhee, arrived! I was the first of his five children. My Father went on to establish the Republic of Ireland Taekwon-Do Association (RITA) in 1972 and then the All Europe Taekwon-Do Federation (AETF) in 1979, with the official inauguration being held in Oslo, Norway. He promoted to 7th Dan in 1974 and 8th degree in January of 1981. He was to later become a part of further Taekwon-Do history when the Founder, General Choi Hong Hi, promoted him to 9th degree Grand Master on July 2nd 1997, at the ITF World Congress in St Petersburg, Russia. He became the first man to be bestowed the grade by the Founder and the only Grand Master in the world at that time… and so he became known as First Grand Master Rhee (FGMR). As the First Grand Master, my Father is widely recognised as the ‘Father of British Taekwon-Do’ for introducing this martial art to the United Kingdom after arriving there in 1967. But there is so much more to the man behind the reputation. As well as establishing Taekwon-Do in Ireland and throughout Europe, he is one of the 12 original Masters of the Korea Taekwon-Do Association and more noticeably, the only one to stay completely loyal to The Founder, having never left the I.T.F. 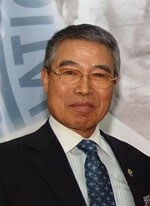 He currently presides as the I.T.F Senior Vice President and is the highest ranked Taekwon-Do authority in the world following the demise of the Founder in 2002. My Father now resides in Scotland, the home of Golf, where he divides his time between his Taekwon-Do duties and pursuing the ultimate round of 18 holes… A leisure and social activity he took up in 1989. My Father’s passion for the gentleman’s game almost rivals that of his Taekwon-Do! As FGMR, my Father is still active to this day, travelling to Australia, USA, Canada, and throughout the UK and Europe on an annual basis to conduct FGMR Courses, Seminars and Gradings for students and Instructors alike. 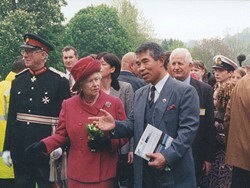 I have been very fortunate to accompany both he and the Founder, General Choi Hong Hi (before his passing) on their travels for many years performing the role as Assistant Instructor, a privilege afforded to very few people. 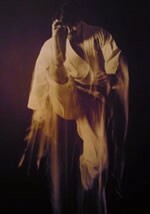 By Master Andrew K H Rhee, ITFA.